Below is our review of the Samsung 305U, a 11.6 laptop, featuring 4GB RAM, 500GB hard drive and Windows 7 Home Premium 64-bit. 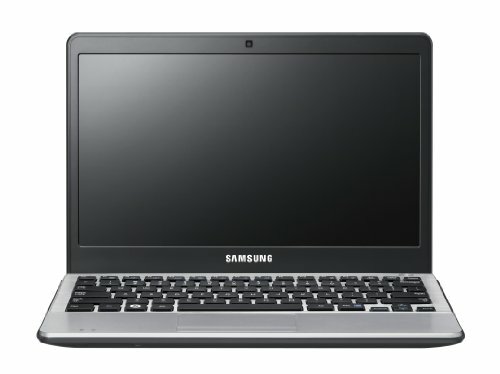 The Samsung 305U is an entry level netbook, designed for superior portability, and decent features at an impressive price. The first thing to point out about this laptop is the smaller screen - only 11.6" inches, compared to the norm of 15.6". This has it's advantages - less screen equals less power used, and so you should be able to get more usage in-between charges. The smaller display also means that the overall dimensions, and indeed the weight of this notebook are reduced over larger screen alternatives, making this an ideal travel or commuting companion. The Samsung 305U is small and light, weighing just 1.21kg - and therefore easily fitted into most backpacks. Smaller displays also obviously cost less to produce than 15.6" versions, and so you may well find you get better specification than a similar priced rival. However notebooks such as the Samsung 305U also have their disadvantages - if watching films is your main priority, then you may wish to either purchase a laptop with a larger screen, or simply buy an HDMI cable so you can watch via your TV. Also the reduced overall size means that the built in keyboard will be smaller than the average laptop - those with bigger hands or frame may prefer a larger size notebook. Design wise it looks great - very slim, a beautiful brushed fingerprint proof finish, which should help maintain it's good looks. On first reflection, the expensive looking build belies it's relatively low price tag - and puts other manufacturer's budget laptop offerings to shame. If aesthetics is your thing, then the Samsung 305U should catch your eye. Upon opening the notebook, you are confronted with a stunning 11.6" screen, complete with anti glare technology. This feature is something that will only prove it's worth to you once you've tried a laptop without this option. Reflections provide distractions, and often eye strain, and can make using a laptop in either a brightly lit room, or the daylight a pretty painful experience. This laptop suffers from none of these problems - we tested it for several hours without tiredness or eye strain - whether you buy this laptop or a rival manufacturer's version, then make sure it has this feature as standard. The case feel solid and like it won't scratch or mark easily - always a bonus when you're investing hundreds of pounds in such a device. The 11.6" screen appears crisp, and has great definition - no quibbles in this department. As mentioned previously, it has an anti reflection coating to help make the laptop usable even in the brightest of conditions. You can adjust the brightness and contrast to suit your needs, and as such is easy to personalise. The interior of the laptop looks equally good, with a similar stunning finish. Often on smaller laptops you will find that extended typing sessions become a chore due to the smaller keys - not the case with this offering from Samsung. The keyboard is good, each key has a nice action and we found typing easy. Despite the smaller size of this laptop, the keys are evenly spaced, to make for easy cleaning and to avoid typing errors. The trackpad, as you would expect from Samsung, is easy to use, and provides an accurate and practical way to navigate. If this laptop is intended to be your main computer, it may well be worth investing in a small mouse, as in the long term a mouse is often proven to be faster and more practical - however for travelling, household use and just browsing the web, this trackpad is more than suitable. So how does it perform? With most laptops you automatically assume that small doesn't equal powerful - not the case with the Samsung 305U. Inside you'll find the AMD E450 1.65GHz processor, as well as a substantial 4gb RAM. It runs very fast, even with multiple applications open. The dual core AMD processor is ideal for everyday computing use, and handles photo and video editing with ease via the built in ATI graphics card, which provides you with 256mb of dedicated graphics. Although clearly something that the 305U is not built for, it even handles games relatively well. Obviously you're not going to be able to play the latest high performance, graphically intensive games on this laptop, however it handles older and slightly less intensive games pretty well. So no criticisms in this department, especially considering the low price tag. Storage is provided by a spacious 500GB hard drive - we found it ran quietly, and the generous size should mean you have room for all of your files, music and software. The computer is preloaded with the Windows Home Premium 64-bit edition, which is fairly standard for laptops - so no issues here. Connectivity is catered for with LAN, WLAN, Bluetooth, 3 x USB 2.0 and VGA, HDMI, a Headphone / Microphone Combination, Internal Mic, and a 4-in-1 Memory Card Slot (SD, SDHC, SDXC and MMC), as well as DVDSM and a Webcam are all impressively squeezed into this small laptop Battery life is good for a laptop, however not so when compared to other netbooks, such as offerings from Acer. We found it lasted around 4 hours under normal use, and approximately 5 hours under reduced performance settings, so still pretty good when compared to equivalent 15.6" laptops, and this shouldn't put you off from buying this model. the machine runs pretty silently, and doesn't seem to heat up too much. Pros: Highly portable, decent specification, well built, runs fast and is a bargain price. To conclude, the low price tag, small size, low weight and decent performance means this laptop is ideal for students, and those who plan on travelling or commuting with their notebook. It fills the gap between netbook and laptop - providing the portability of the former, but with the power of the latter. If you're looking for a cheap, small, good all rounder laptop at a competitive price, then you could do a lot worse than the 305U.